Have you read the book about gravity? You wont be able to put it down! 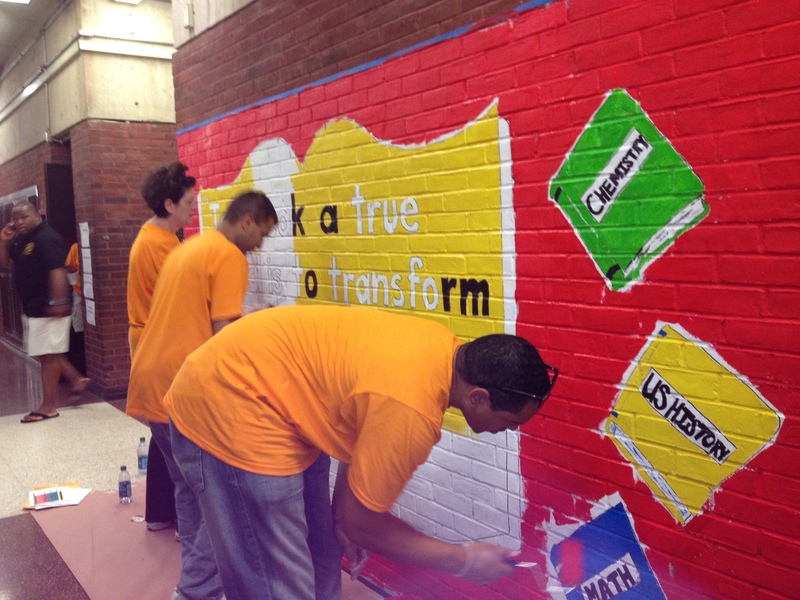 These NBA volunteers are doing a novel job painting this book mural at a Newark, NJ school. Get your company involved with Jersey Cares–click here to learn how. 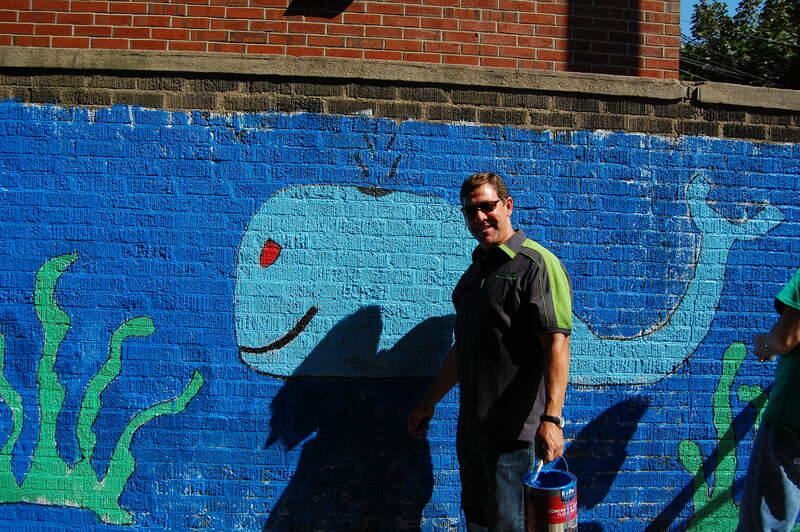 This Fidelity Volunteer was having a whale of a time painting this mural for a Jersey City school–and that’s no fish story! Socializing with animals is the purrfect way to give back! Click here to learn how you can get involved with Jersey Cares right meow! Life is a picnic when you volunteer with Jersey Cares! Click here to learn how you can become a volunteer today.